Part of a fun collection of Star Wars and Andy Warhol's style prints, the My Star Warhols Stormtrooper Framed Print is the perfect solution for every Stormtrooper junkie out there! Made with a tongue-in-cheek style, it features a stormtrooper looking Campbell's Soup can. It's inspired by the classic can prints made by none other than Andy Warhol. 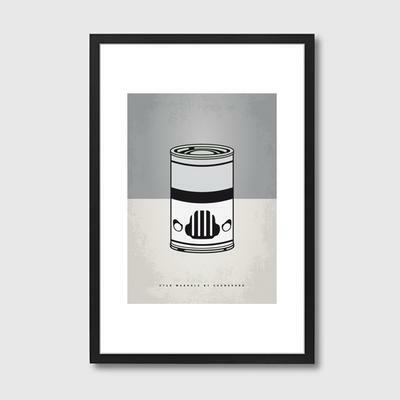 It's a great homage to both Warhol and Star wars. Hang this print inside your living room, bedroom or give it as a gift to a friend or family member. It's definitely a great piece to have.